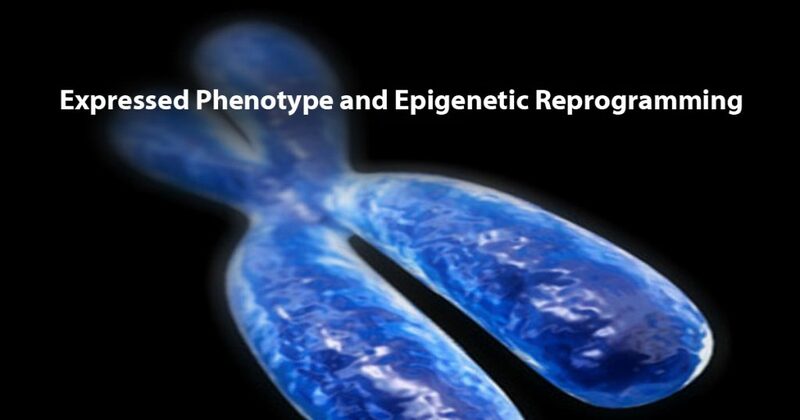 The phenotype is also known as the clinical expression of a specific disease. For instance, in cases of neurodevelopment disorders, Autism is an expression of the phenotype. In inherited familial high cholesterol, the expressions of the genes that control this metabolism are the phenotypes. Phenotypic abnormalities can be expressed and alterations in specific gene function observed. Sequencing the exome allows for identification of specific phenotypes and their gene implications. This, in turn, allows for a clear identification of implicated genes that are high risk and actionable intervention to amplify functional change that the implicated genes control. It is crucial to understand the genotype data is markedly different in implications than phenotype data. “The human exome includes all coding nuclear DNA sequences, approximately 180,000 exons that are transcribed into mature RNA. (Note that mitochondrial DNA is not included in the exome.) Although the exome comprises only 1%-2% of the human genome, the exome contains the majority of currently recognized disease-causing variants. Clinical exome sequencing is a laboratory test designed to identify and analyze the sequence of all protein-coding nuclear genes in the genome. Approximately 95% of the exome can be sequenced with currently available techniques. The diagnostic utility of clinical exome sequencing has consistently been 20%-30% (i.e., a diagnosis is identified in 20%-30% of individuals who were previously undiagnosed but had features suggestive of a genetic condition) [Gahl et al 2012, Lazaridis et al 2016]. 23andMe is an example of identification of a genotype. This identification is known as a single nucleotide polymorphism also known as a SNP. Simply the genotype is the set of genes that a person carries and the phenotype is the expression of observable characteristics, for example, expressed color of eyes or an expressed component of a disease or disorder. (https://www.youtube.com/watch?v=lYAHx7NiF3g). When an individual decides to analyze their genotype they are just identifying their gene set. Genotype identification is not sequencing it is just a typing analysis. It doesn’t sequence the gene or the entire exome. Epigenetics is the study of heritable changes in gene expression (active versus inactive genes) that does not involve changes to the underlying DNA sequence — a change in phenotype without a change in genotype —, which in turn affects how cells read the genes. Conrad H. Waddington coined the term “epigenetics,” to demonstrate that there are heritable influences on phenotype expression and predisposition to disease. Epigenetics is quickly growing and with it the understanding that both the environment and individual lifestyle can also directly interact with the genome to influence epigenetic change and adaptation. The advances in epigenetics has led to new findings about the relationship between epigenetic changes and a host of disorders including various cancers, mental retardation associated disorders, immune disorders, neuropsychiatric disorders and pediatric disorders. Exome Sequencing is the preferred first line analysis that will identify high-risk phenotypes involved in disease process. This analysis will assist in identifying the necessary lab testing and avoid unwarranted expensive lab workup and move to specific diagnostic testing. Knowing the phenotype variations is essential in actionable and targetable approaches to be specific in influencing epigenetic transcript messages that increase the likelihood of high risk mutations associated with many disease states. Epigenetic reprogramming depends upon definitive identification of phenotypes associated with high-risk gene mutations that alter functionality of key proteins that control the individual specialized cells and multi-systems of the human body. In summary, the main theme of this white paper outlines the value of exome sequencing analysis over genotyping and genome sequencing. This should be considered as a first line in determining targeted approaches to treatment. With the increasing sophistication of bioinformatics analysis the development of specialized phenotype identification panels will allow the physician to clinically treat specified phenotype targets increasing favorable outcomes in the treatment of specific diseases and disorders associated with the expressed phenotype / gene variants. Patients will have personalized molecular approaches that can significantly influence recovery from chronic illnesses, thereby extending longevity, decreasing aging risk and preventing the serious consequences of disease. Egger G. et al. Epigenetics in human disease and prospects for epigenetic therapy. Nature 429, 457-463 (2004). Jirtle R.L. and Skinner M.K. Environmental epigenomics and disease susceptibility. Nature Reviews Genetics 8, 253-262 (2007).